Immediately, after my unprecedented fifth surgery, I experienced the worst setback yet; extensive, horrible damage to my left iliac artery! 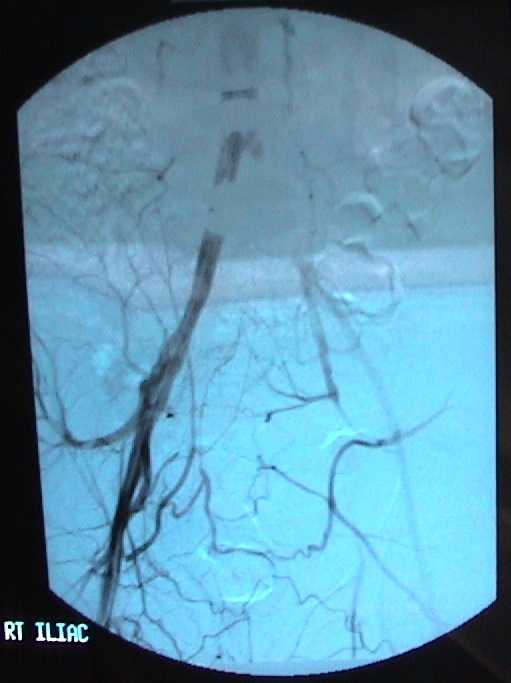 This x-ray image, taken from the backside so the arteries appear in reverse, shows the left artery has suffered a 100% occlusion! Quickly, I began to lose the pulse to my left leg as terror and despair started to set in.